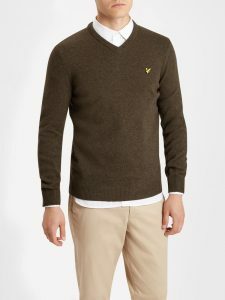 Our partnership with Lyle and Scott dates back many years. The Scottish heritage brand is the epitome of “lads and dads” appeal, distinguished by its timeless styles, gorgeous colours, and affordability. These core principles are as strong as ever in our Lyle and Scott AW17 collection. 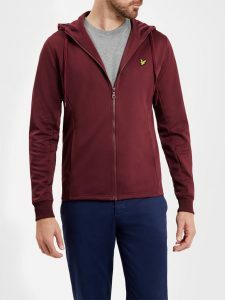 We’ve picked out some of our favourite Lyle and Scott AW17 arrivals, from a matching hoodie and joggers to a gloriously soft lambswool jumper. Remember to browse our online store for the full Autumn Winter range. There’s also a special 10% discount for all our lovely Apache customers! 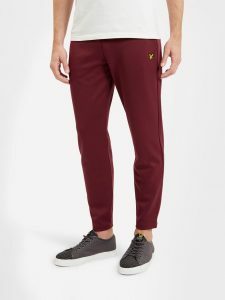 Just type in L&SAW17 at the checkout to save on all new Lyle and Scott AW17 gear. 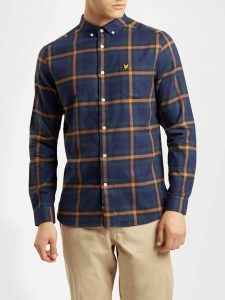 There are a few eye-catching check shirts in the Lyle and Scott AW17 collection; so much so, it was hard to pick a favourite. In the end, we’ve plumped for this lovely soft brushed cotton shirt in Navy. Features a chest pocket and classic button-down collar. We reckon check shirts are the most versatile of all, great with a pair of jeans and over a T-shirt. Also available in Claret Jug. If this hasn’t whetted your appetite, then nothing will! 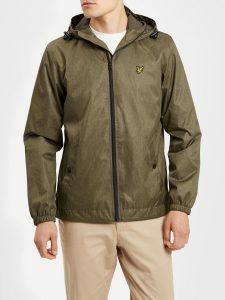 Don’t forget to use our exclusive offer code L&SAW17 for 10% off all new Lyle and Scott AW17 gear. Previous10% Off All New Jeans and Knitwear!